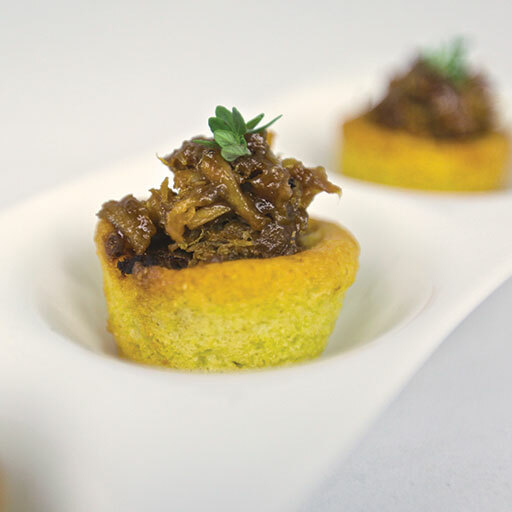 Tender pulled pork drenched in our tangy BBQ sauce layered into a rich corn muffin batter, for a distinctive open face presentation. 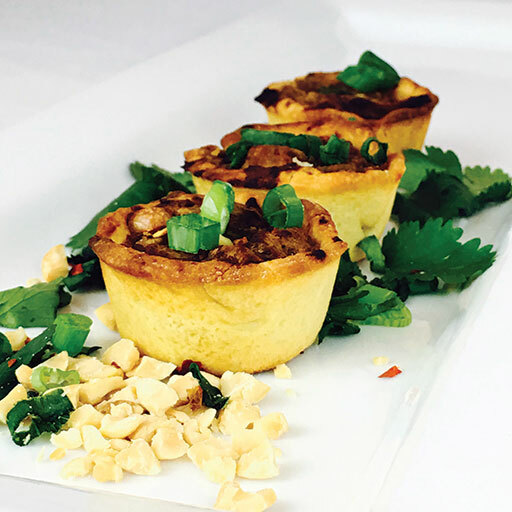 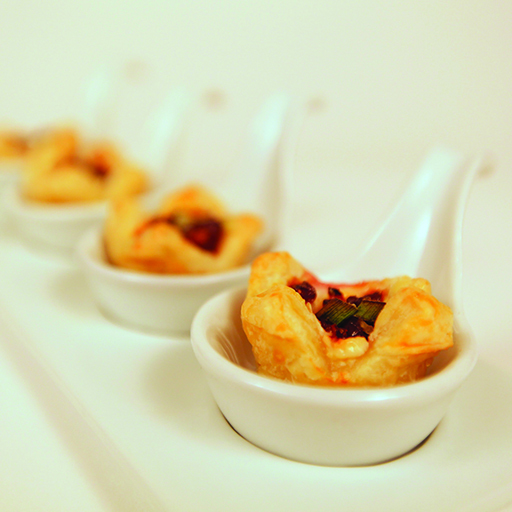 Our signature hand-formed tart shell filled with a classic Sichaun preparation of chicken, garlic, green chiles, ginger, and toasted peanuts sauteed in a sweet and savory hoisin reduction. 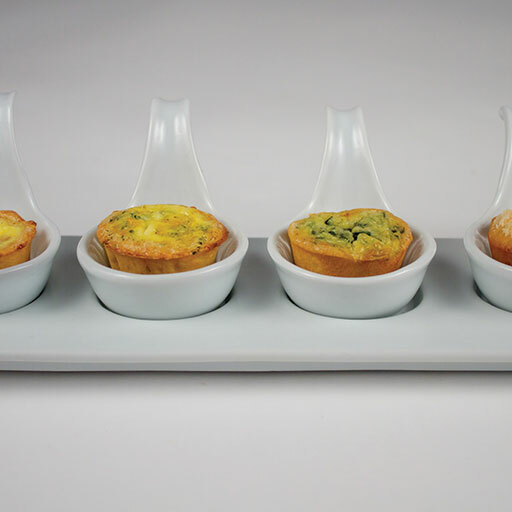 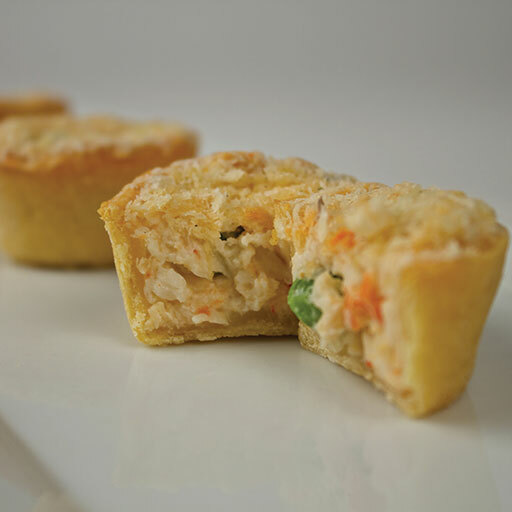 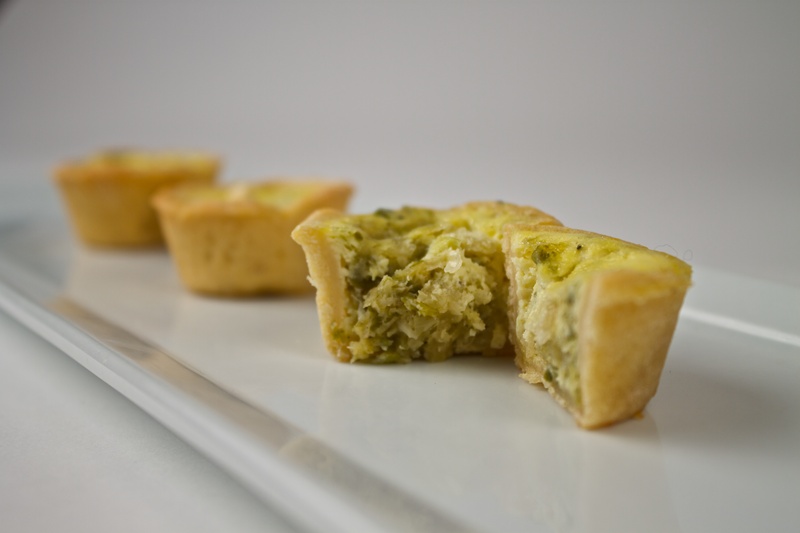 An assortment of our best selling tarts and quiches: Bacon Quiche; Broccoli Quiche; Lobster Cobbler; and Spinach Quiche. 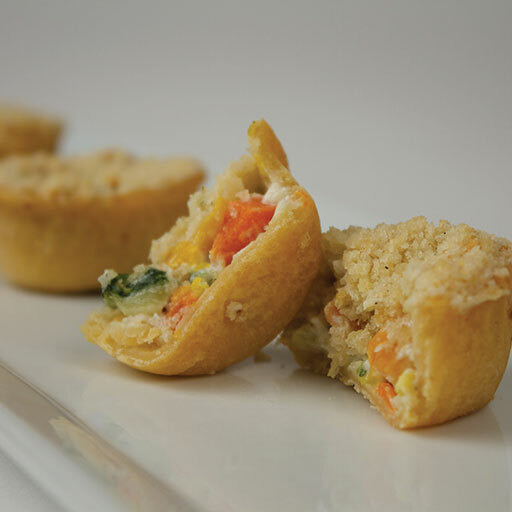 A delicious pairing of roasted turkey topped with gravy and a medley of vegetables, garnished with seasoning and topped with a blend of breadcrumbs. 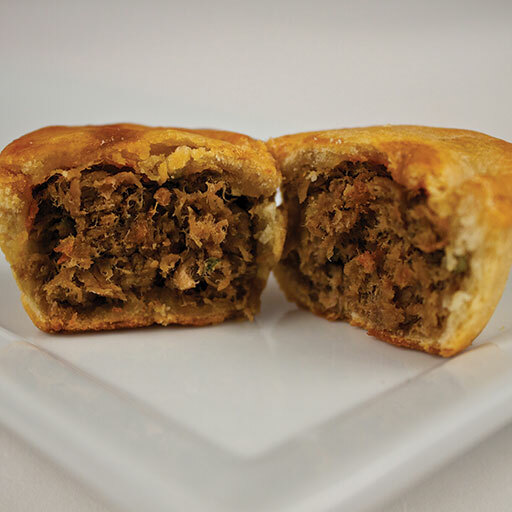 A traditional favorite: Lean beef sauteed in a medley of spices and mixed with carrots and peas, delicately placed in our savory pastry shell and adorned with duchess whipped potatoes. 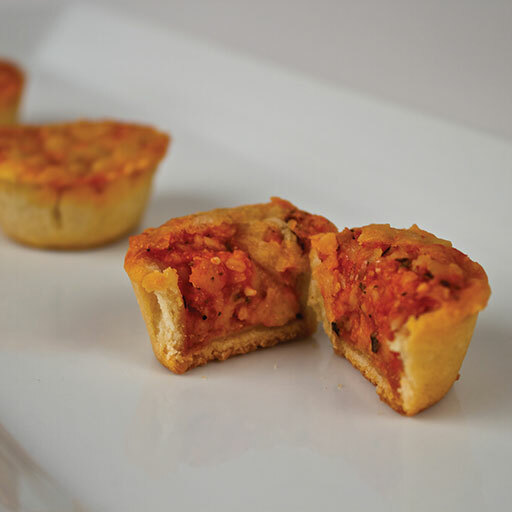 A traditional pizza rolled into our savory tart shell: Made with tomato sauce, mozzarella cheese, Italian sausage, and spices. 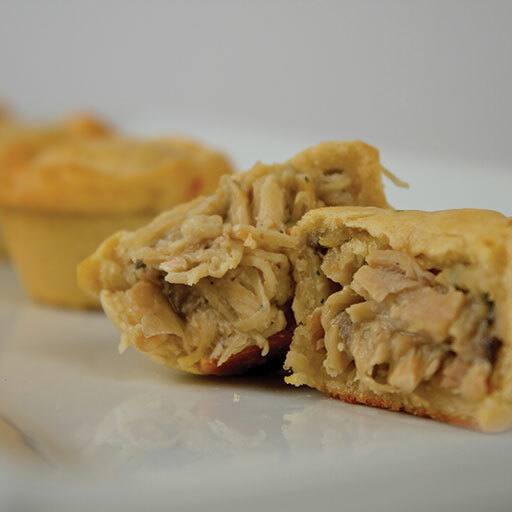 A fricassee of chicken, sweet Trapani Marsala wine, and an earthy mushroom duxelle, presented in our miniature pot pie pastry cup. 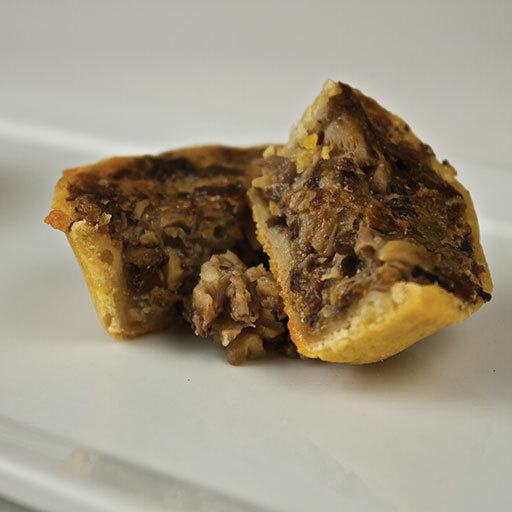 The Philly favorite in a tart: tender strips of marinated steak topped with melted cheese, loaded into a pastry tart shell. 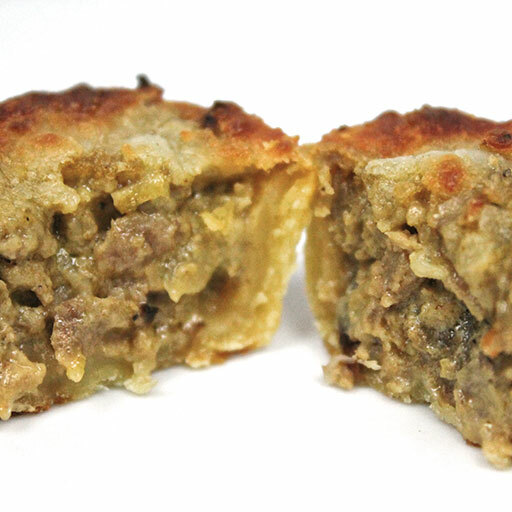 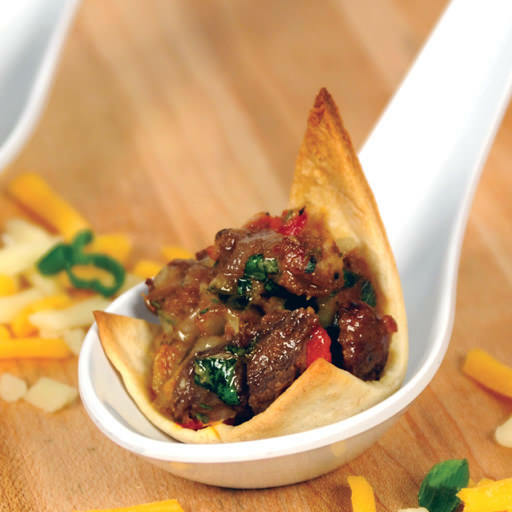 Tender beef short ribs braised with green onions and sweet Asian spices, loaded into a pot pie pastry shell. 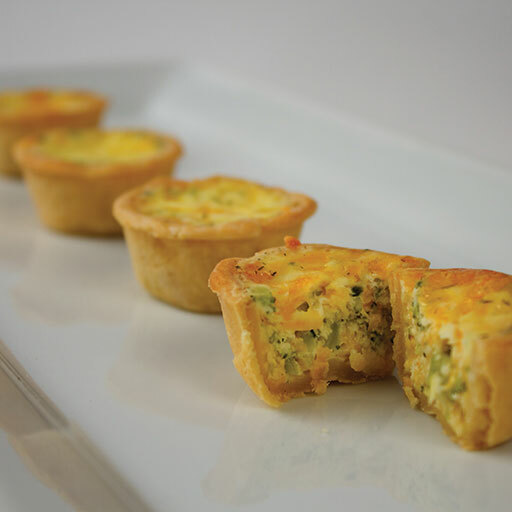 An assortment of our pizza quiches; Cheese, Mushroom, Pepperoni, and Sausage. 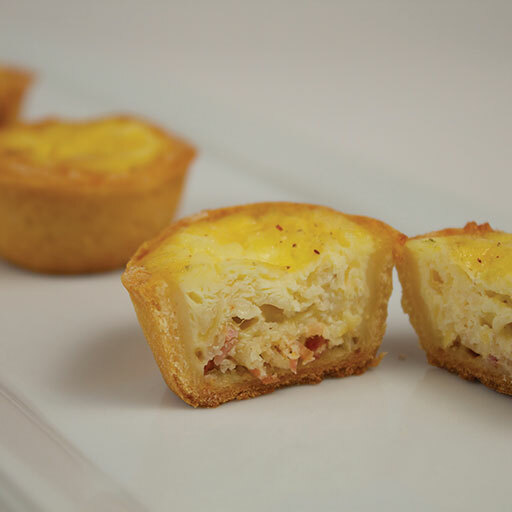 Our savory quiche shell filled with eggs, cream, Swiss cheese and crisp bacon. 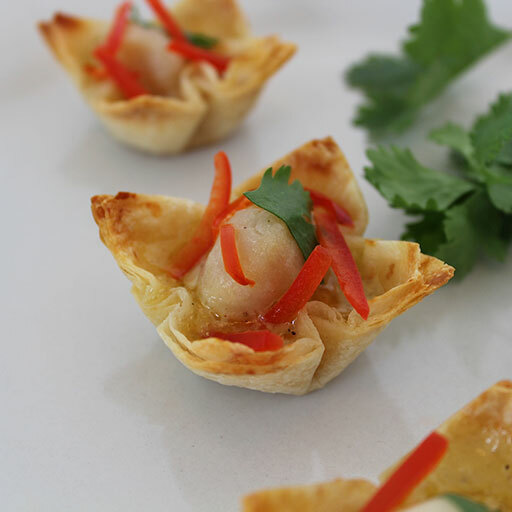 Whole scallops sauteed in butter, white wine, coconut milk, and garlic in an open tortilla crisp and topped with julienned red peppers and fresh cilantro. 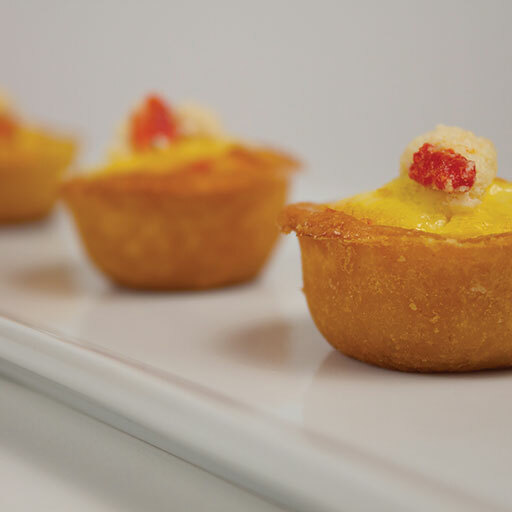 Manchego cheese with quince in a crispy tart shell. 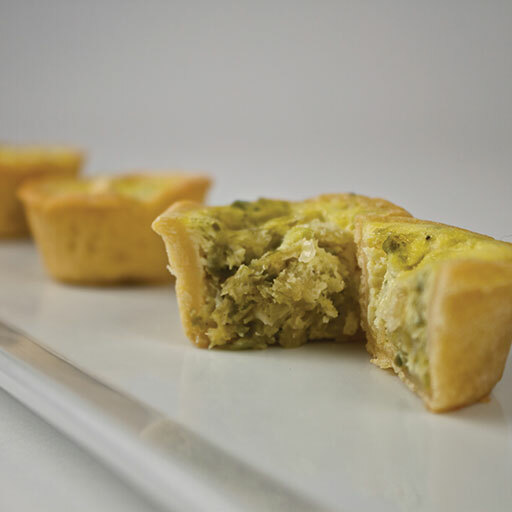 Our savory quiche shell filled with crisp asparagus tips and aged Gruyere cheese. 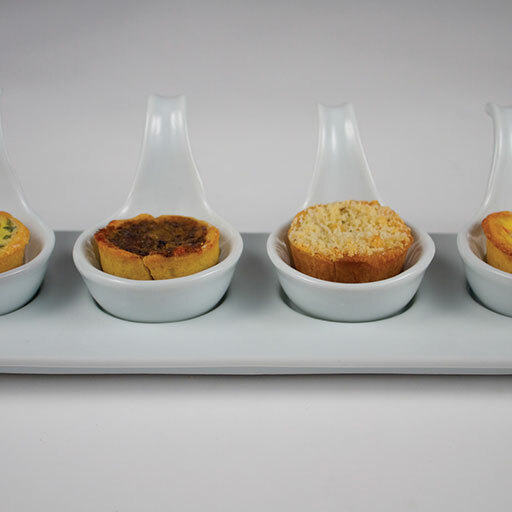 An assortment of our best selling vegetarian tarts and quiches: Vegetable Cobbler, Mascarpone and Caramelized Red Onion Tart, Goat Cheese and Roasted Red Pepper Tart, and Wild Mushroom Tart. 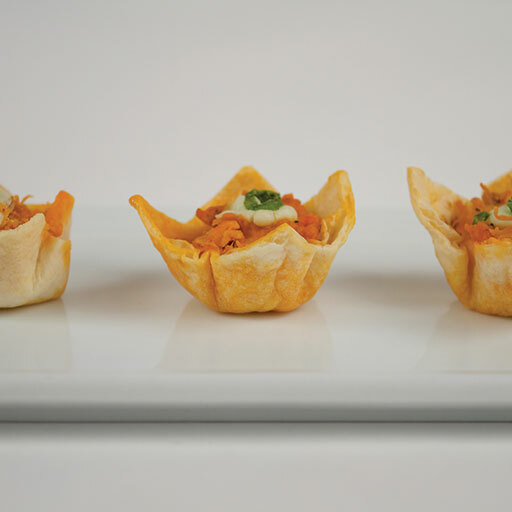 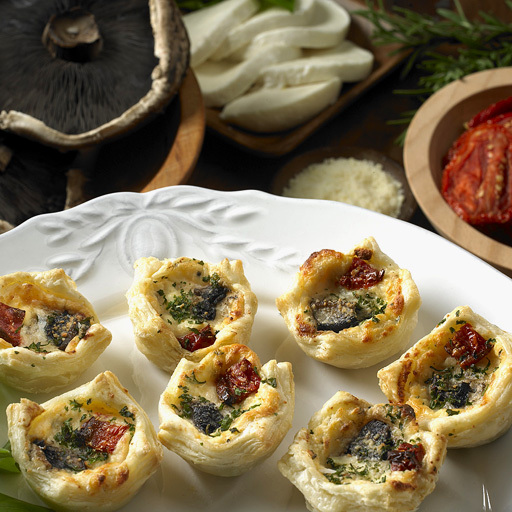 Our savory, hand-made cup filled with a mix of wild mushrooms and artisan cheese. 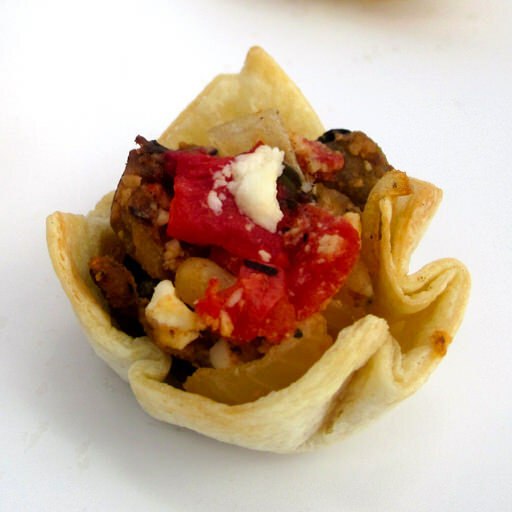 Fresh eggplant, onions, oven-roasted tomatoes, and pignoli nuts topped with feta cheese, layered into a flour tortilla cup. 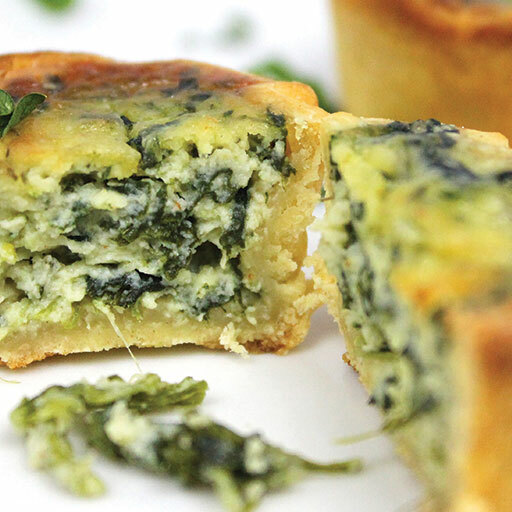 A unique blend of crisp baby spinach, artichokes, and aged Parmesan cheese layered into a flower shaped tart shell. 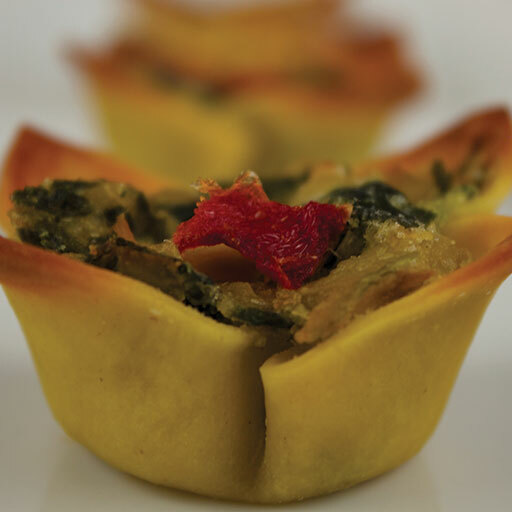 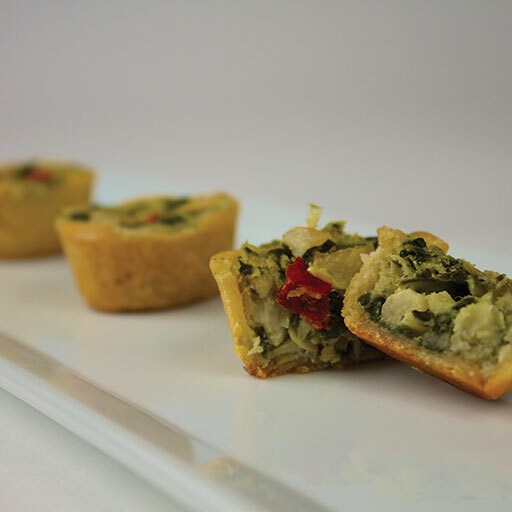 A unique blend of crisp baby spinach, artichokes,and aged Parmesan cheese layered into our handmade pastry cup. 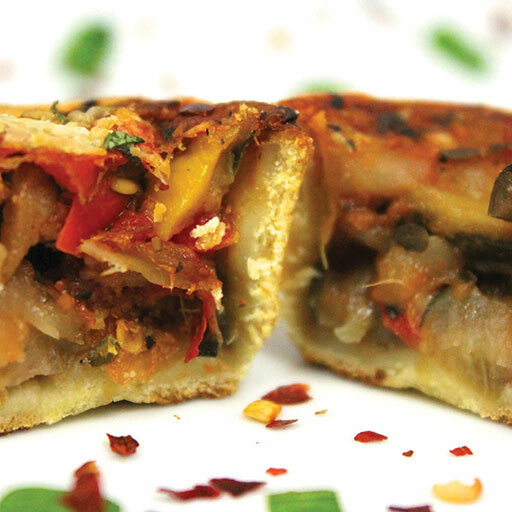 Our signature handmade tart shell filled with zucchini, eggplant, green peppers, tomatoes, garlic, onion & spices. 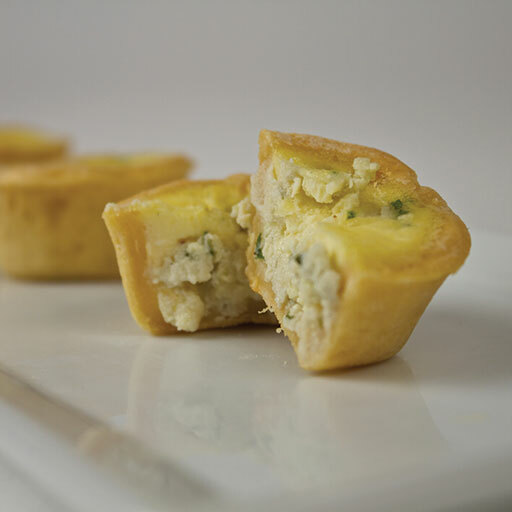 Mascarpone cheese blended with bleu cheese and caramelized red onions in our handmade tart. 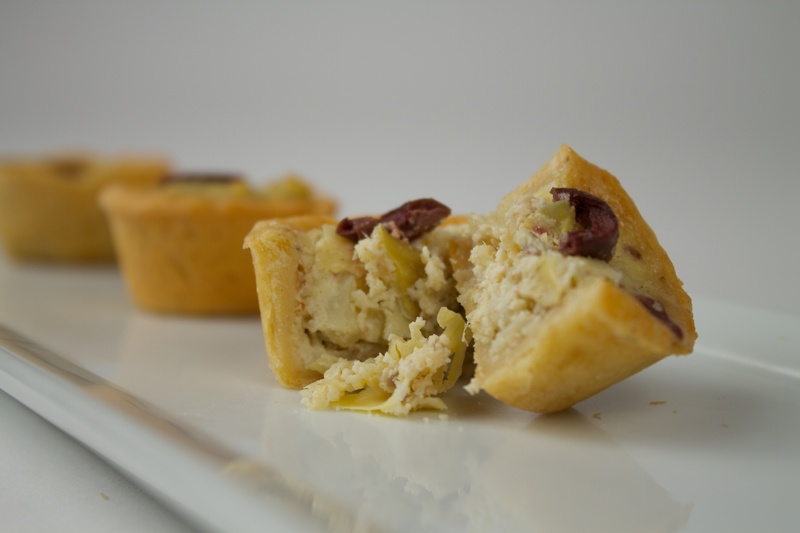 Kalamata olives, quartered artichoke hearts, and goat cheese in our handmade tart. 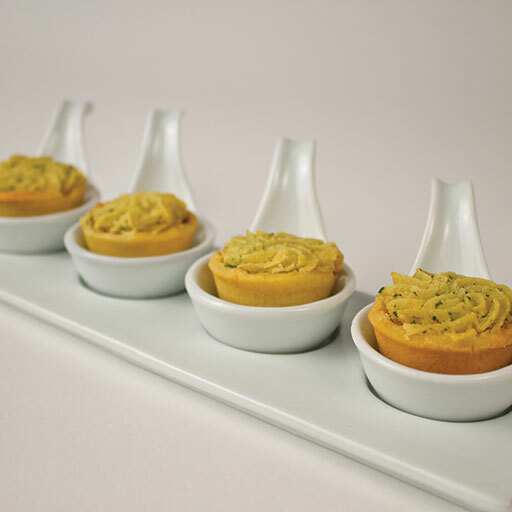 Aged gruyere cheese and summer leeks layered into our handmade pastry cup. 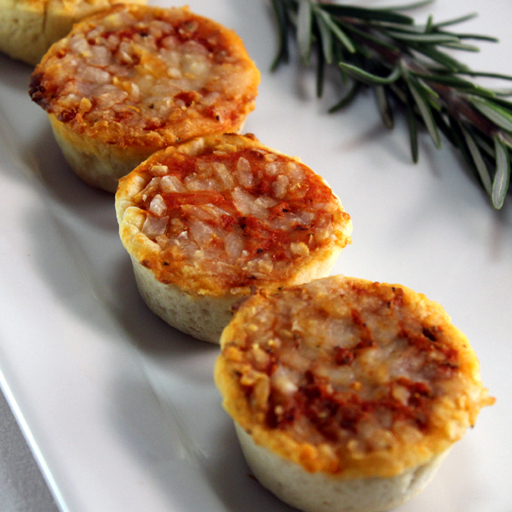 A traditional pizza rolled into our savory tart shell: Made with tomato sauce, mozzarella cheese and spices. 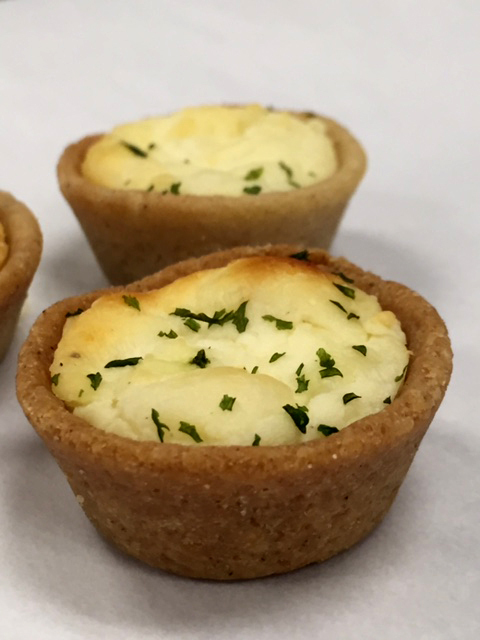 Our savory, hand-made cup filled with a mix of broccoli and aged cheddar cheese.